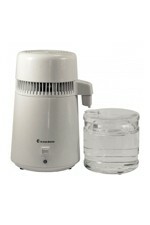 The Wellness Water Carafe includes an initial filter cartridge to get you started. 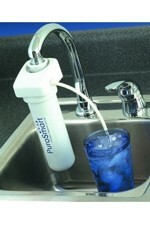 The Wellness Water filter gives you clean, refreshing water using a multi-stage filter cartridge to reduce Chlorine, Lead, and other harmful contaminants from your water. 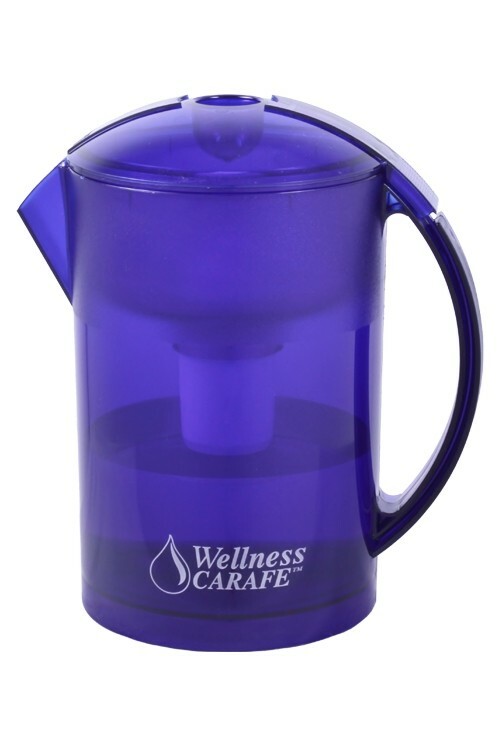 After the water is safely filtered, it then passes through Wellness' patented enhancement media, adding trace alkaline minerals to the water for a unique taste that can only be found with the Wellness Carafe. After filtration, water passes over Wellness’ enhancement media. The first enhancement stage is magnetic treatment which includes Tenko-Seki, Magnetite, and Magnet medias. The second stage is Bakuhan and Taicho stones which add low levels of Calcium, Potassium, Silica, Yttrium, Vanadium, and other minerals to the water, giving it a unique flavour. Finally, water passes over quartz crystal. The Wellness Carafe uses a blend of mixed granular carbons and SPG resin to achieve optimal filtration of Chlorine, Lead, and Trihalomethanes (THMs) in a gravity filter design. Granulated Activated Carbon made from highest quality coconut shell carbon. Carbon is the world's oldest filtration method known being recorded in both ancient Egypt and Mesopotamia where it was used to remove basic contaminants such as chlorine, chlorinated hydrocarbons, organics, volatiles, MTBE, heavy metals, odours and improves taste. SPG Sand is obtained from volcanic rocks, the surface area of this material is 6.16m2 per gram and provides 0.5 – 3 micron level filtration. It produces high efficiency filtration, mechanically filtering asbestos, dirt, rust, and sediment. Tenko-Seki Far-Infrared ceramic beads help to produce hydroxyl ions and hydrogen ions in the water with an antioxidant effect, helping to neutralise free radicals. Magnetite Ore and a Ceramic Magnet then create a magnetic field (4,500 Gauss) within the filter for magnetic resonant activation and structuring of the water to help lowers surface tension, increase solubility of minerals and absorption by the body. Stones imported from Japan comprised primarily of calcium, potassium, iron, and silica. 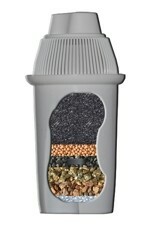 They act as a natural disinfectant role and help to add trace alkaline minerals to the water. 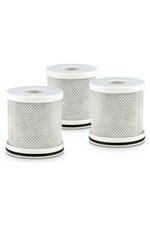 Taichoseki is a proprietary media used in all Wellness filters. On December 15, 1990, the Kitazato Medical School of Public Health in Tokyo, having found that it greatly inhibits the growth of fungus and bacteria, approved Taichoseki mineral stone as a "natural disinfectant". The Medical School's studies found that water treated by Taichoseki mineral stone slows down and may even stop the growth of fungus and bacteria, including Staphylococcus aureus, Bacillus subtilis, Aspergillus niger, Myrothecium verrucaria, Trichophyton interdigitale, and Candida albicans. 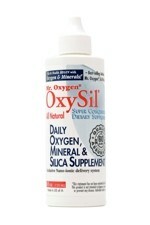 This mineral also helps to remove iron and cadmium from tap water. Bakuhanseki is a proprietary media used in all Wellness filters. On October 15, 1995, the Japanese Government's Ministry of Health, Drug Approval Division, gave their approval of the bakuhanseki stone as an approved medicine. The stone is approved for medical purposes in powdered form (oral or skin application), dissolved in water, and for use in water filters for bathing and drinking. 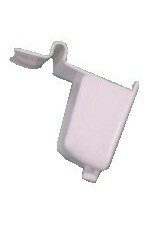 The Ministry of Health uses Wellness filter water in their hospitals and in many of their approved health bathing spas. The Bakuhan mineral adjusts the water to a stable alkaline pH, increases dissolved oxygen, helps to remove harmful substances (lead, mercury, and chromium) and enhances the taste by adding trace Angstrom size minerals (silica, potassium, and magnesium) to the water. Made of silicon dioxide, adding soluble silica to the water.